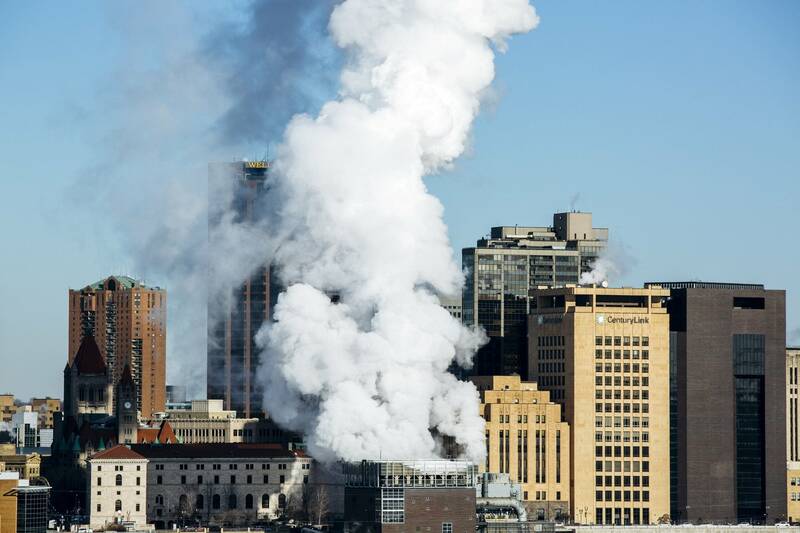 The energy facility that supplies heating and cooling for downtown St. Paul and the State Capitol complex is retiring its use of coal. "It certainly has served us well, but it's costly from a financial side," District Energy president and CEO Ken Smith said. "But it's also our greatest impact on the environment, and for those two reasons, it's time to go." For many years, coal from Appalachia has arrived by river barge to downtown St. Paul, where it was burned along with biomass and natural gas to provide heating, cooling and hot water to downtown and Capitol buildings. Smith said District Energy in 2015 decided to phase out coal, and is doing so two years ahead of schedule. "It used to be our lowest-cost fuel. It now is our most costly fuel. But it's also greenhouse gas emissions," Smith said. The move will help the system reduce carbon emissions by 57 percent, Smith said. While District Energy's carbon footprint is relatively small compared to other energy facilities, the move away from coal matches a trend happening across Minnesota in an effort to save money and address climate change. Smith said for now, natural gas will replace coal at the facility, but District Energy is looking at ways to reduce that fossil fuel, too. "We see natural gas as a bridge to the future, much like it is on the electrical grid," Smith said. "We're excited to have reached this milestone."